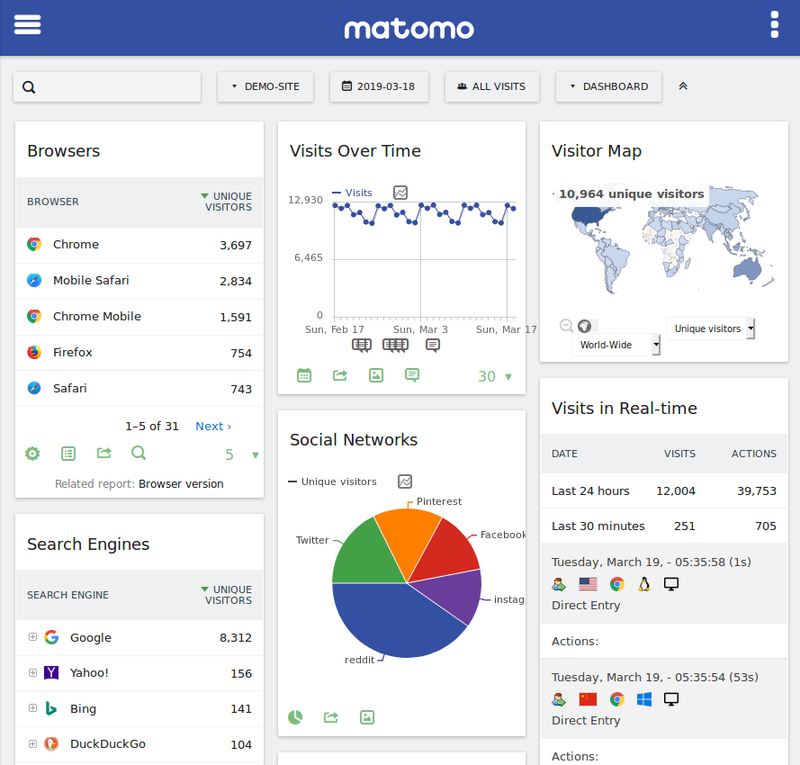 We are proud to announce Matomo 3.9.0: a new release of Matomo Analytics. 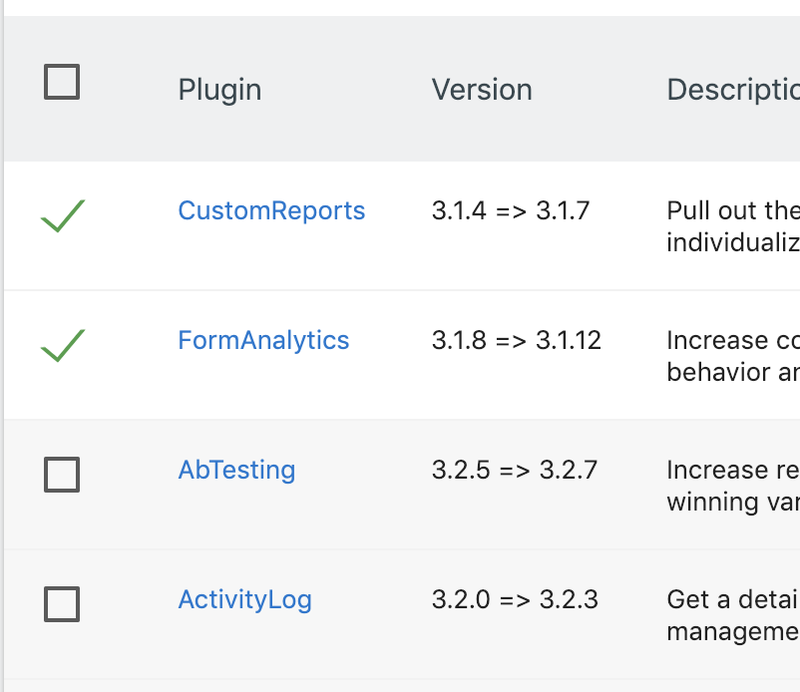 You can also now get the Row Evolution and Segmented Visitor Log features for more reports and also for folders within your Behaviour reports. When the `core:archive` command hasn’t recently successfully executed via the crontab, a new system check diagnostic will report the issue to Super Users to help them configure Matomo and generate reports correctly. PHP 7.3 compatibility: There were a few issues running Matomo with the latest version of PHP, which have been adressed in this release. As always please report any bug you may experience with PHP 7.3 or newer. Security improvements: Security email notifications (with the originating IP address) are now sent to each user whenever their password or their email address is changed. A XSS issue has also been fixed. We generally recommend you enable Two Factor Authentication in your Matomo settings. Device Detector: Hundreds of new devices (smartphones, tablets, computers) are now better detected. Dozens of new Referrer Spammers were also added to our blacklist. 171 tickets have been closed by 20 contributors! A XSS issue has been fixed (Thank you to xorathustra for his responsible disclosure via our HackerOne bounty program). Our security bug bounty program welcomes & rewards researchers who discover and responsibly report to us any security issues found in Matomo or any of the plugins created by Matomo/InnoCraft. In this 3.9.0 release there are breaking API changes, New features, New APIs. Read more in Platform Changelog for Developers to see all changes to the platform and APIs. Note: the Marketplace showcases more than 90 plugins already compatible with Matomo 3 and this is just the beginning. Matomo is your universal data analytics platform! The Matomo team offers official SDKs (Tracking API Clients) for measuring your mobile apps and any other kind of apps.